Choosing the best type of lock is certainly not easy especially today where there are all kinds of brands and products. Some people will be looking for locks for their homes, others want to secure their offices, while some are after the heavy-duty variety. You may want a classic or modern type for a particular application home while a more modern or contemporary lock may be the best fit for another situation. Going by different locksmith reviews, the Sure-Loc brand offers a wide selection to suit varied needs whether unique of general. You will find all kinds of commercial, industrial as well as residential locks in stock. Furthermore, you will also find modern, classic, and modern-contemporary among other choices. All you do is to visit the company website. Unless you have installed a highly-quality lock , your premises and belongings are at risk. Unscrupulous individuals may gain entry by using master keys, picking or breaking them. To minimize such incidences from happening, Sure-Loc stocks strong locks that have been crafted from quality materials such as stainless steel, bronze, aluminum and more. The manufacturer also uses advanced technology that will resist any tampering as well as the elements. For instance, grade 2 and 3 type the heavy-duty type and are suitable for commercial applications. And to assure the customer of longevity and unrivalled service, the company backs its products with warranty. Sure-Loc locks are quite flexible and can easily be used in a range of applications. 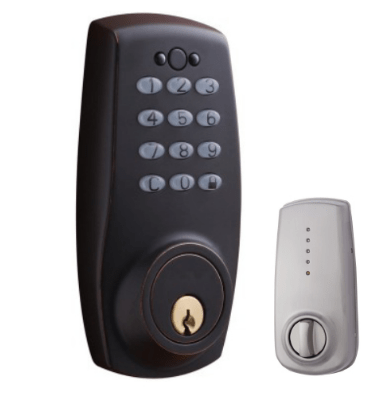 In fact, there are some types that can double as both residential as well as commercial locks. Due to their versatile design, fitting the lock on different doors is also easy. They are also elegant and can bring out the desired effect. A customer looking for the traditional or cottage appeal will find the rustic-type of locks a good choice. These locks feature sand-casted, natural pitting, bronze or other designs. Modern locks made from aluminum , stainless steel or featuring contemporary designs are ideal for those looking for modern and trendy appeal. When customers order for locks and related accessories they want the service to be as smooth as possible. They also want the item to arrive in the shortest time possible. Sure-Loc is able to achieve this by relying on quality systems that allow customer view , select and pay for the products online with minimal stress. The company ships its products to customers to different locations in the region. Furthermore, the company relies on a highly-trained and dedicated staff team that is always at hand to address any customer issues. This improves the turnaround and minimizes any delays or misunderstandings between the company and customers. In addition to offering the best locks, customers can also seek related services such as master-keying or re-keying service. It’s true that finding a lock for the home, office or any other setting isn’t hard. In fact, it has become easy and simple as you can easily purchase the products online. What challenges most people is finding the right type that is strong, durable, reliable, and elegant. People also seek products that are safe , secure and user-friendly. 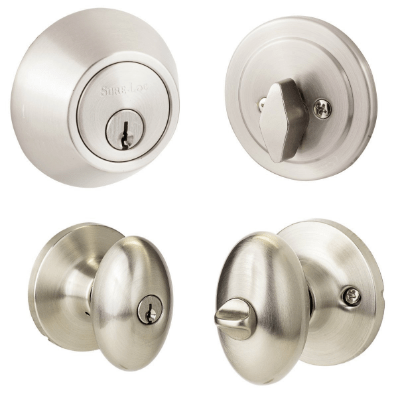 Looking at the above review, the Sure-Loc brand is without-a-doubt one of the popular locks in the market. It is authentic, offers variety, strong, durable, and aesthetic appealing. In addition to safeguarding your property and life, you also have peace-of-mind and maximum satisfaction. Based on sites reviewing Sure-Loc locks, investing in this brand is certainly worthwhile. And if you ever need these locks rekeyed ore repaired, call your local locksmith and they will fix you right up!